The Display modes options manage the appearance of the viewport display modes. 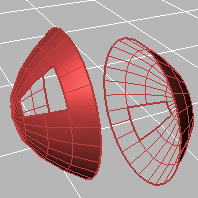 Sets the viewport to a raytraced render preview mode. Shades with isoparametric curves not obscured by objects in front. 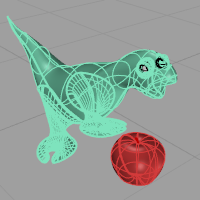 All wireframe and point objects are displayed, even if they would normally be hidden by surfaces that are in front of them in the viewport. Create a new custom display mode. Delete a custom display mode. Import a display mode (.ini) file. In the Options dialog box, click View, and then click Display Modes. Browse to the .ini file you want to use. In the list on the left, click the new display mode created by importing the ini file. Revise the options if needed. This may be necessary if the display option includes an image background. Restores the default system values. All custom display mode settings will be lost. Not all of the settings described below are available for all display modes. Specifies the viewport background color. Use settings specified in Appearance > Color Options. 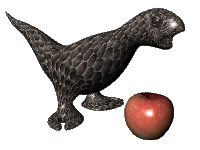 Specifies an image for the viewport background. Type or browse for the file name. Blends between a top and bottom color. 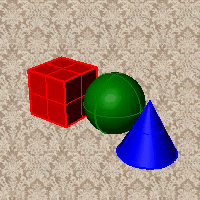 Blends between four colors starting from the corners of the viewport. 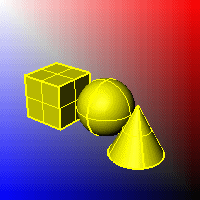 Displays the colors and lighting used by the settings for background specified by the current renderer. 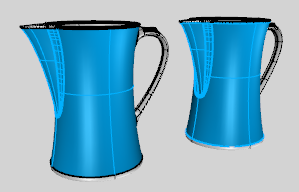 Renders viewport backgrounds using black and a 0.0% alpha value. This works for rendered output and for ViewCaptureToFile. 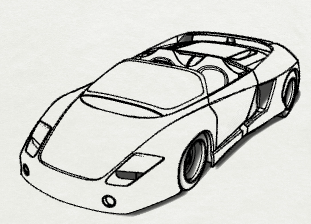 Sets the viewport to opaque shaded mode. Shades with isocurves not obscured by objects in front. 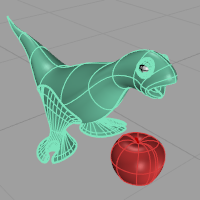 Shades the current viewport with no smoothing so the individual render mesh faces are visible. 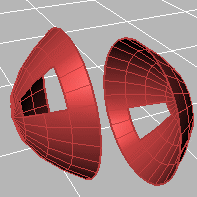 Shades using an object's vertex colors. 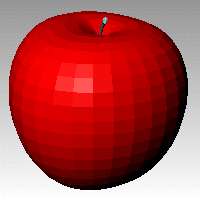 Use the color specified in the object's properties. Sets the gloss for the color. Sets the transparency for the color. Ignores object colors and uses a single color for the shading. 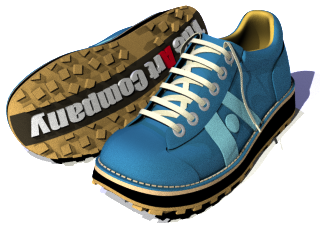 Click the Customize button to specify the custom material. Opens the Custom Object Attributes Settings dialog box. Changes the color of the backface (the side opposite of the surface normal direction). 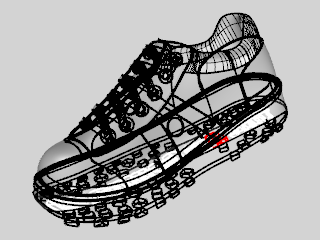 Surfaces viewed from the back will be transparent. Surfaces viewed from the back use the color specified in the object's Properties. 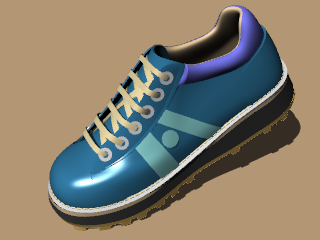 Sets the gloss for the backface material. 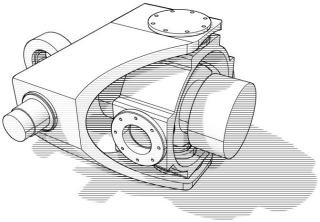 This can be different from the front face material. 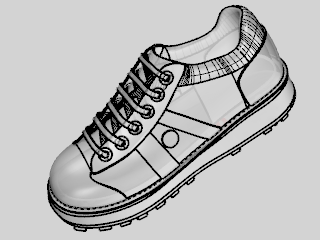 Sets the transparency for the backface material. This can be different from the front face material. All backfaces display a specified color regardless of the object color. Sets a single color for all backfaces. 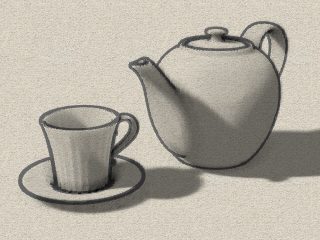 Uses parallel lines for shading. Specifies which elements will be visible in the display mode. 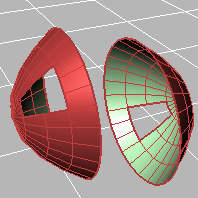 Isocurves on (left) and off (right). Tangent polysurface edges are smooth edges between different faces of a polysurface. 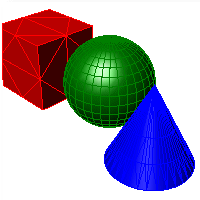 Tangent seams are smooth edges that close surfaces such spheres or cylinders. Displays hidden lines as dashed lines. 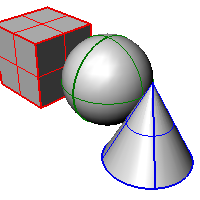 Displays surface and polysurface clipping planes. 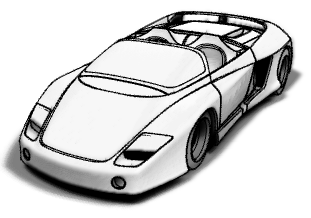 Sets the thickness in pixels for surface edges. Sets the "fade" effect for surface edges. This setting applies to lights that are on turned-off layers and lights that are hidden. 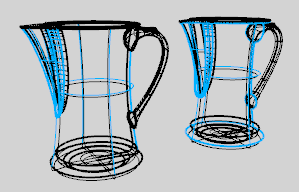 Draws lights using the color of the light rather than the color of the light object. The SetDisplayMode command specifies a display mode. Sets the display mode for only the active viewport. Sets the display mode for all viewports. Lists all of the current display modes in the model.